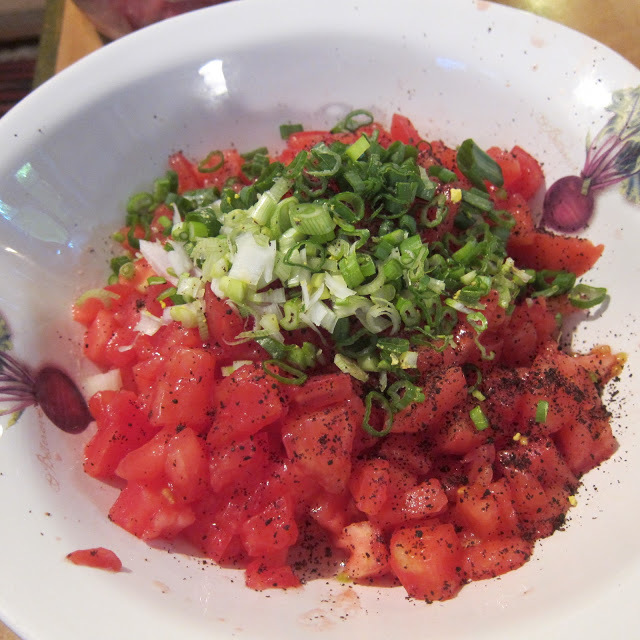 I have been building up to a post on this spicy tomato salad for some time now. It’s one of our favourite mezes when we are out and now I know how easy it is to replicate , I can see it’s going to become part of my regular repertoire at home! The tomato season is just starting: as summer advances so their taste improves. Things can only get better! Gavurdağı makes a good addition to the rakı table! 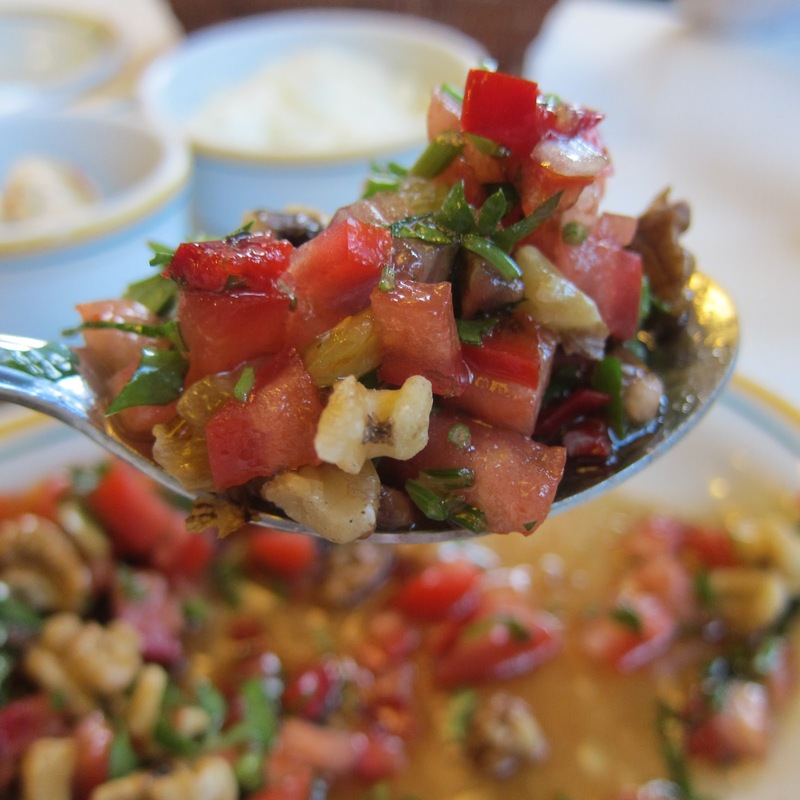 Gavurdağ (dağ/ pron: dah) is actually the name of a mountain in the Taurus range down in the south of Turkey and this salad originally hails from Gaziantep, one of the major cities in that region, as so many delicious Turkish dishes do. I wasn’t certain about the addition of the cumin but I found that it goes brilliantly with the tomatoes and gives the salad an exotic Middle Eastern flavour. It’s eaten with meat or kebabs, not fish. 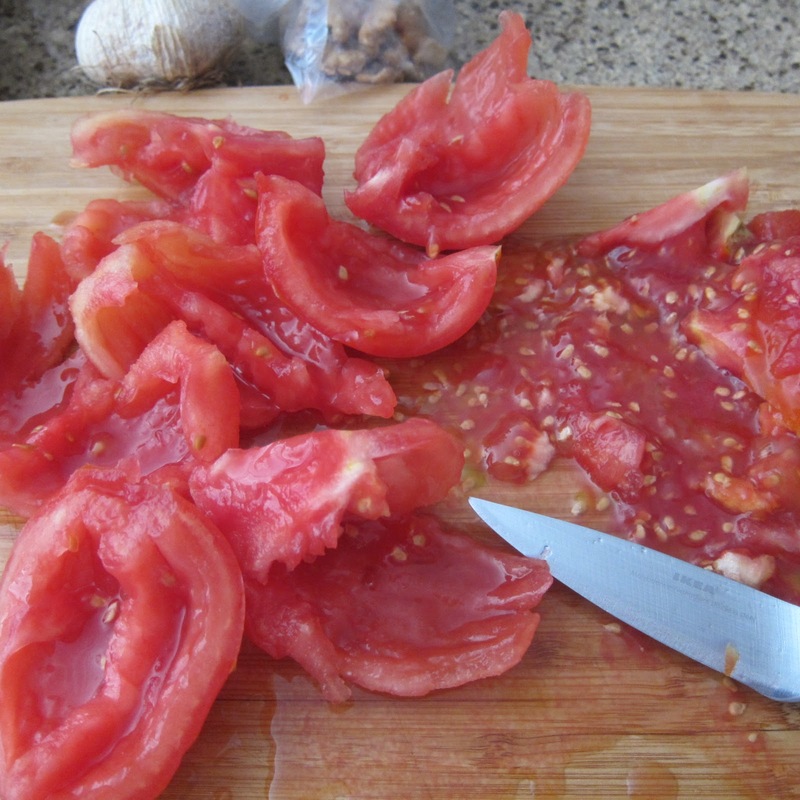 · Wash and deseed the tomatoes before chopping into small pieces. · Discard any excessive juice (otherwise the salad will be too ‘wet’). Place the tomatoes in a bowl. Chop the onions and parsley and add to the tomatoes. 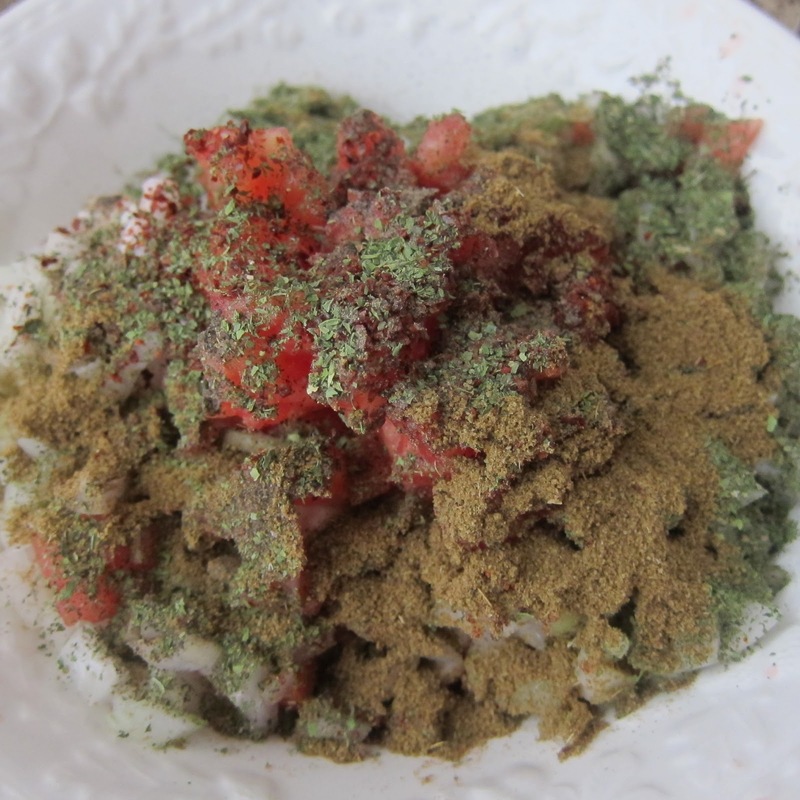 · Scatter the cumin, black pepper, flaked red pepper and mint on top and mix gently. 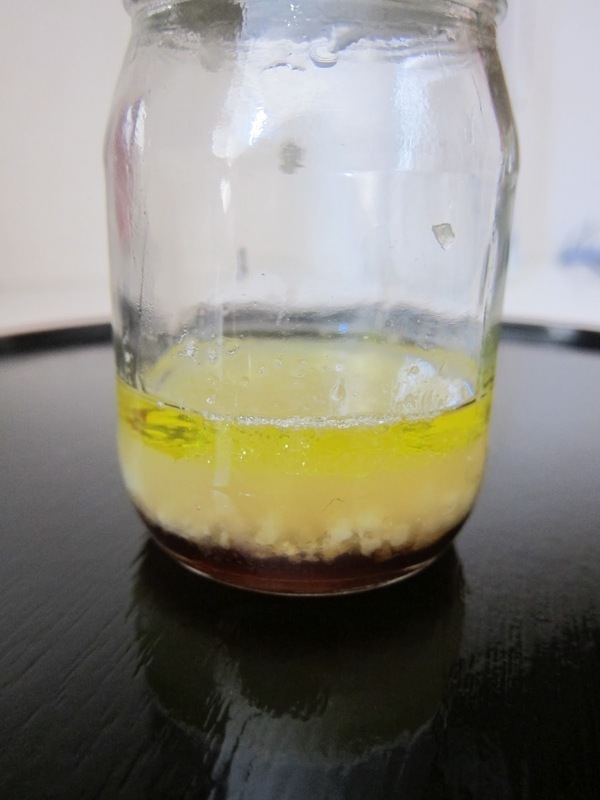 · Crush the garlic and mix with the pomegranate molasses, olive oil and lemon juice. Place in a jam jar and shake to blend. 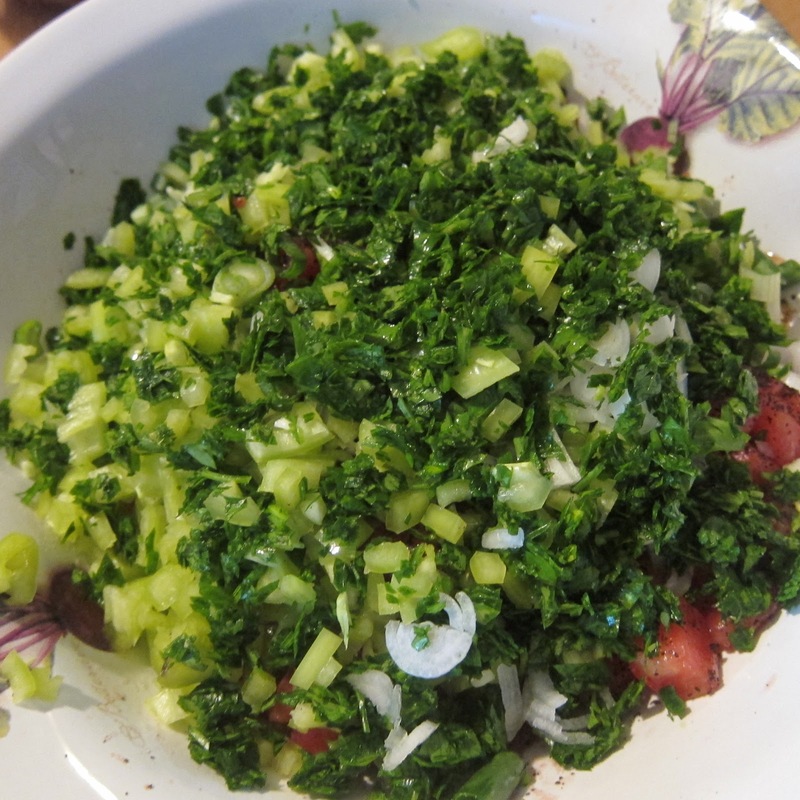 · Add this dressing at the last minute to the tomato mixture in the bowl. 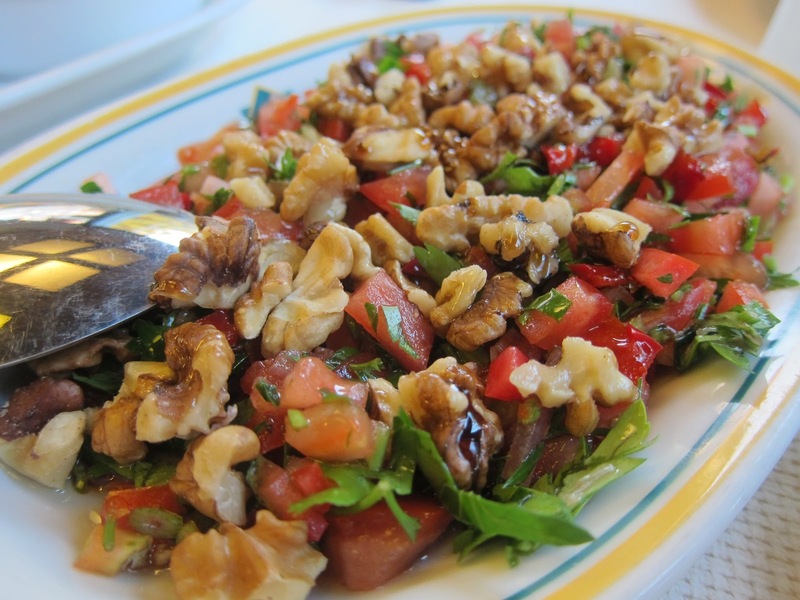 · Arrange the gavurdağı salad on a shallow serving dish and scatter the chopped walnuts over it all. · Refika recommends adding a little nutmeg too and then letting the salad rest for 10 minutes for all the tastes to combine. I highly recommend this salad! Don’t make it too much in advance as it will become very liquid. It doesn’t keep either so make sure you finish it up in one go. Previous Post: « We Say Goodbye to Olympos …. 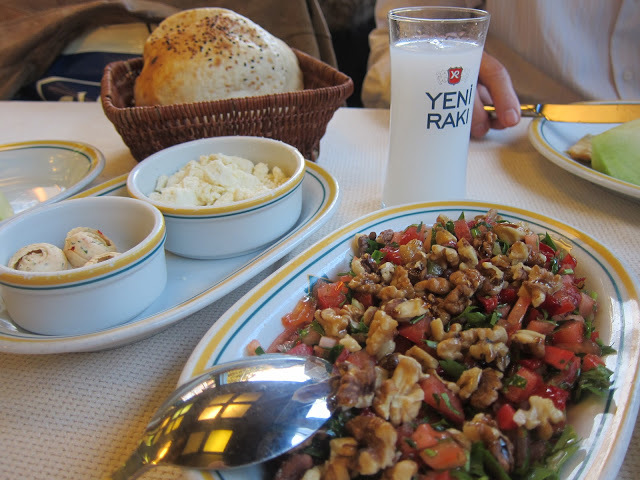 Looks delicious – I think I had a similar salad when we were in Istanbul in March but I don't think it had cumin in it. 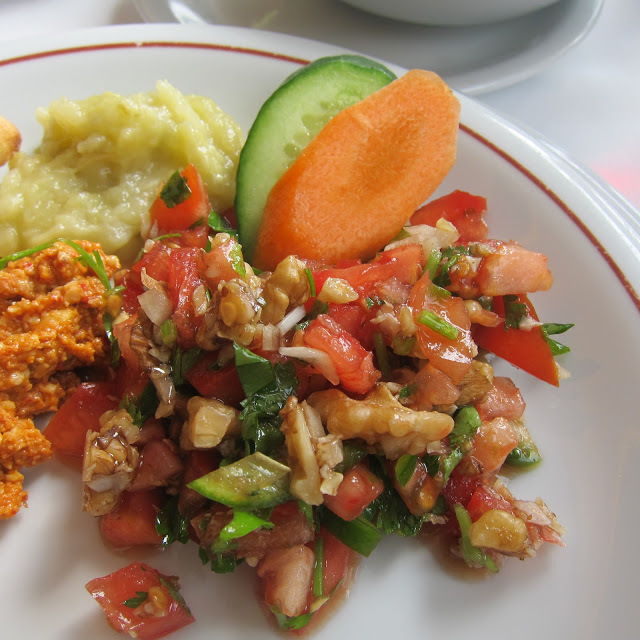 I love the variety of Turkish salad dishes. I shall have a go at this one although the tomatoes in the UK are not quite as tasty and I may have to search for the pomegranate molasses! Thank you very much for the kind words about my blog. wow…does this ever look good! as soon as my tomatoes are ready i will be making this! thanks for yet another fabulous recipe! This is my kind of a salad. Soon my garden will be full of fresh tomatoes. (They're still green) I know what kind of salad I'll be making. Thanks for sharing! Oh this is so delicious – I would never have thought of putting walnuts with tomatoes – and this looks SOOOOOOOOOOOO delicious – I'm making this for lunch!! I don't think I've ever used cumin in a salad. Market day tomorrow, so I'll load up with toms and walnuts and give it a go. Love gavur dagi salata!! especially the marriage of pomegranate molasses with walnuts and tomatoes, divine! haven't tried adding cumin before, you got me thinking there -this goes so well with some tulumba peynir and lavas ekmek, so craving them at the moment 🙂 thanks for this feast! 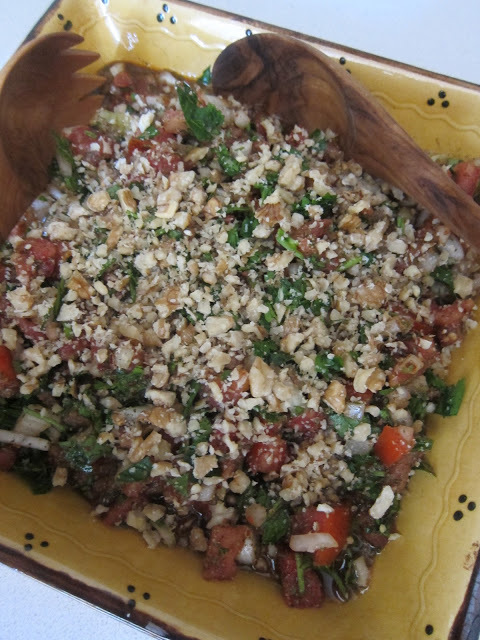 Gavur dagi salad is my favorite of all Turkish foods! This salad looks very inviting, I've got all the ingredients so sometime this week it will be for dinner. I've never had tomatoes with cumin or walnuts, sounds delish though. Love the tomato season in Turkey, that was the first time I actually tasted what a tomato supposed to taste like…here they drag them in from Mexico or California, so after those journeys and picked not ripe. Well lets say you could knock out someone's tooth if you whipped at it someone….so hard…..here at the supermarket people pinch and look to see any bruises on the tomatoes but in Turkey the Market guy picks them for you…at first I thought that was strange but all his produce looks perfect. Thanks for sharing your fab recipe…..and photo's.